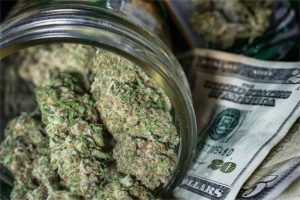 Marijuana Street Prices: How Much Should You Pay For Weed? Street Price of Weed: How Much Should You Pay? The greenish dried flowers of the cannabis plant sell on the street under slang names such as pot, grass, ganja, bud, Mary Jane, and many other nicknames for weed. Officially called cannabis, the drug is typically smoked in hand-rolled joints or added to foods such as candy and brownies. The cannabis plant contains more than 100 chemicals of the cannabinoid THC family that produce mind-altering effects on the human brain. According to marijuana history, it is estimated that more than half the American population has tried marijuana on at least one occasion and approximately 55 million Americans are current users. The domestic production of pot in the United States has increased steadily from 1,000 metric tons in the 1980s to ten times this amount in the last decade or so. The number of users who self-medicate with marijuana cancer treatment also steadily grows, especially after the recent research. How much does marijuana cost? There is no simple answer to this question. The price varies from city to city and country to country. Read on to find out what factors influence marijuana prices on the street. Where is pot most popular? How much is a pound of weed in the United States? Quantities of marijuana: How many grams in an ounce of weed? Marijuana Prices: How Much Does an Ounce of Weed Cost on the Street? According to the United Nations, nearly 160 million people around the world smoke pot. This is approximately 4 percent of the world’s population. 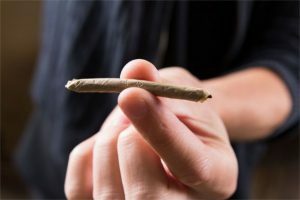 Second only to alcohol, marijuana is one of the most commonly found intoxicating substances involved in fatal motor vehicle crashes. The recreational use of marijuana remains controversial. What makes pot so popular? Is it easy availability or a low street price? In the United States, a gram of marijuana costs $20 on average on the street. This means an ounce of pot can cost hundreds of dollars in America. The price of pot varies substantially across different countries around the world. It is highest at $110 per gram in the United Arab Emirates. Like all commodities, the street value is affected by demand and supply. Let’s take a closer look at what affects the price of pot and explore the reasons for the difference in price. Worldwide Street Prices: How Much Does a Gram of Weed Cost? The United Nations Office on Drugs and Crime produces the World Drug Report with statistics on the street price of marijuana throughout the world. Pot is available at a rock bottom price of $0.08 per gram in India. This is the lowest price of pot in the world. The most expensive place to buy one ounce of weed is the United Arab Emirates where the street value of the drug is the highest at US$110 per gram. This makes the price of 1 ounce of weed over US$3000 in the UAE. Other countries where pot is most expensive include Brunei ($74 per gram), Japan ($38 per gram), and Cyprus ($40 per gram). In countries such as Norway, Singapore, Australia, Finland, Estonia, and Israel, the average price of pot varies between $20 and $30 per gram. Of the 71 countries listed by the United Nations, the United States is the 12th most expensive place to buy marijuana. In America, one gram of weed costs about $20, the same as Ecuador. In a number of countries around the world, the average cost of pot is lower than the $20 per gram street value in the United States. These countries are too numerous to list here, but for example, it is possible to buy one gram of weed for less than US$1 in India, South Africa, Guatemala, Nigeria, Kenya, Brazil, Colombia, Dominican Republic, Haiti, China, Myanmar, and the Philippines. Highest Consumers Around the World: Who Loves Pot Most? What is the world cannabis situation? Which are the world’s most pot-loving countries? The answer might surprise you. It is not The Netherlands where cannabis clubs and coffee shops are common or Jamaica where pot is a big part of the local culture. In fact, the Netherlands is the 20th highest consumer of pot in the world and Jamaica takes 22nd place. The United Nations has found that Iceland is the top consumer of pot in the world with more than 18 percent of the population using it. The United States is the second highest consumer of weed. Nigeria, Canada, Chile, France, New Zealand, Bermuda, Australia, and Zambia have also made it to the top ten. One Gram of Weed: How Much Does It Cost in America? The price of marijuana varies significantly from place to place within the United States. The street value of the drug is affected mainly by the legal status of marijuana. Let’s consider the price of one ounce of weed in the United States. The average cost is $286 per ounce in states such as Indiana and Nevada. In general, prices tend to be lower on the West Coast and in the Southeast compared to the Central North and the East Coast. The street price of marijuana is the lowest in Oregon, where it is more than 30 percent below the national average. In Washington, the drug costs nearly 27 percent less than the national average. California and Colorado are two other states where pot costs approximately 23 percent less than the average price in the United States. Interestingly, in these states, the medical and recreational use of marijuana has recently been made legal. States where the drug costs higher than the national average include North Dakota (26 percent more) and South Dakota (22 percent more). The street value is also relatively high in Vermont (17 percent higher), Virginia (14 percent higher), and Iowa (13 percent higher). Marijuana Quantities: How Many Grams in an Ounce? Price Variation: How Much is a Zip of Weed? Legal status: is marijuana a controlled substance in that state? Strains of marijuana – some rare hybrids cost more. Quality: This is the most obvious factor that affects the street value of cannabis. Like every other commodity, a better quality fetches a higher price. It is understandable that people will be agreeable to pay more for a better value product. The street value of marijuana is not very high, so most users can afford to upgrade to a higher quality. Packaging and Distribution: Before it can be shipped to customers, marijuana needs to be packaged safely. The type of container and the manner in which the product is delivered to distributors and dealers has a bearing on the cost of the final product. Competition: Scarcity of any product significantly increases its value. The price of pot is lower in places where there is a steady supply. This is the reason pot costs less in major cities. It is because the number of dealers is much higher than in smaller towns. Legality: Anyone who provides illegal goods assumes a considerable risk. And people who take these risks expect to be compensated for them. This is the reason marijuana is cheaper in countries where it is legal. Season: September, October, and November are months when the supply of cannabis is typically larger, and this can lead to a decrease in prices. At other times of the year, the drug needs to be cultivated indoors under artificial light. This is a more expensive way of producing pot and this is passed down to the consumer who ends up paying a higher street price. Use: In places where weed is legal, it is possible to purchase it for recreational or medical purposes. When cannabis is bought officially to be used as a medication, the price is lower than it is when purchased for recreational use. A gram of weed is the smallest quantity that anyone can buy. The price of 1 gram of weed is approximately $15 to $20. For an eighth of weed or 3.5 grams, the street value is typically between $40 and $60 but can go up to $70 for superior quality cannabis. A quarter of weed or 7 grams costs approximately $80 to $120 when bought on the street. When purchasing half an ounce of weed or 14 grams, the bulk discount is obvious because the price is about $140 to $180. One ounce of weed or 28 grams typically costs $250 to $350 on the street. No matter how much weed costs, the treatments for drug abuse must be available to everybody. If you or someone you love is addicted to weed or other recreational drugs, call our free helpline (888)-459-5511 for more information on getting help. Advisors are available to answer your questions, give you more information on drug addiction rehab centers, and guide you towards a healthy future. Calls are always confidential, private, and secure. Addiction Resource » Addictive Substances: The Anatomy of Drug Addiction » Is Weed Addictive? Marijuana Use, Abuse, and Addiction » Street Price of Weed: How Much Should You Pay? Thank you just wanted to be sure I was paying a fair price for what the dispensary is charging. You can get grams for 10 and eighths for 25 or 30 depending on quality but weed is cheap in Cali and I’ve had some really good strains like grape octane for 30. I recommend CBD oil or CBD hemp if you can get it.